Penn Manor School District’s 2014 Pink Out fund-raising effort is nearing the finish line after raising more than $6,000 for cancer research and support programs. 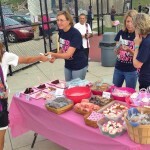 Fall sports team members sold about 1,500 Pink Out T-shirts to students, staff and community members in support of the effort and raised additional funds through bake sales and donation drives at their games. 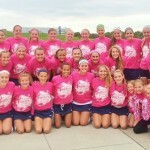 Thursday’s girls’ soccer match and Friday’s homecoming football game have been designated Pink Out contests. And Friday is a Pink Out “dress-down” day for all Penn Manor employees. A new Pink Out event, “Pony-Tail Gate,” will be held Monday, prior to the girls’ volleyball game against Warwick. Several members of the volleyball team will have their pony tails shorn and donated for wigs for cancer patients. In addition, coach Tim Joyce will get his head shaved, honoring a pledge he made if the team raised more than $2,000. The money will be donated to the LG Health Cancer Support Fund, which provides a financial safety net for people undergoing cancer treatments. The Pony Tail-Gate will begin at 2 p.m. Monday in the PMHS East Gym. Thanks to everyone who supported this effort! 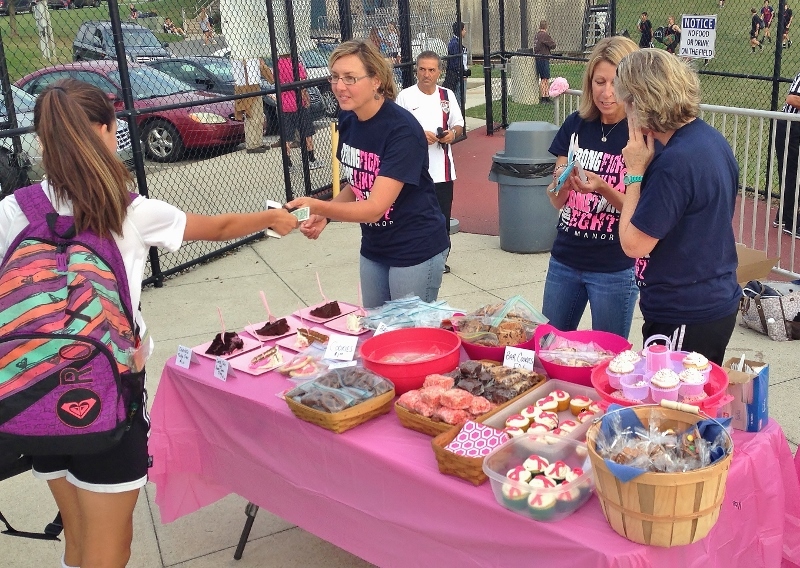 Bake sales, like this one at a recent field hockey game, helped raise money. 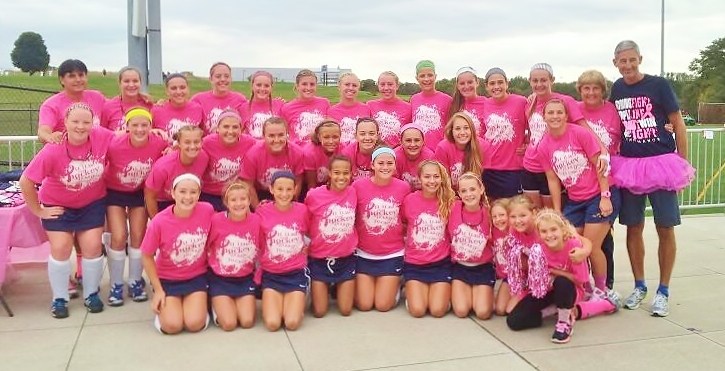 Penn Manor field hockey players pose with Athletic Director Jeff Roth, dressed in his honorary Pink Out tutu.